I liked Jane. She is perhaps more ordinary than most of Montgomery's heroines; although she is still imaginative, she's not in the same class as Anne or Emily. However, this doesn't stop her from having plenty of good qualities; she is caring, brave, and determined. Although at the start of the story she is rather awkward and lacking in confidence, as the story goes on she learns to become more confident and to stand up for herself more. She also develops a strong understanding of other people; she can see her parents much more clearly than they can see each other. The other characters are also very well-drawn, and realistic. I liked the story too. It's a gentle, character-driven story, which is my favourite kind, really. The writing is lovely and descriptive (of course). There isn't anything that I strongly disliked about it, though there were some parts that I found hard to believe, like how quickly Jane learns to cook and garden, with no prior experience or training. She's supposed to have a natural gift for it, but I don't believe anyone could really learn that quickly, especially at the age of eleven. I also would have liked to spend more time with Jane's friends and neighbours at Lantern Hill; there were quite a lot of them, and there wasn't really time to get to know most of them in the time we spent there. Some of the parts where Jane's grandmother is being particularly awful were a little uncomfortable to read, and I'd really rather be reading about Lantern Hill. But that isn't necessarily a criticism of the story. Two themes stood out to me as I was reading. One is that of jealousy, of selfish love. We are told that Jane's grandmother loves her mother, but it is a selfish love; she can't bear for anyone else, even Jane, to share in her mother's affections. Both of Jane's parents, too, have a tendency to be jealous, to want to be the exclusive focus of each other's attentions. The other theme was that of home. Jane longs for a proper home; she wants to be away from her grandmother, of course, but she also hates the house they live in. 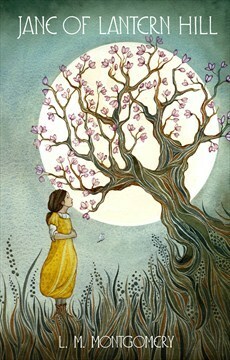 When she and her father are looking for a house in Lantern Hill, it has to be just right, to possess a little "magic". The people in the house matter, but the house itself matters too. Overall, I thought this was a very good book, which deserves to be better known. 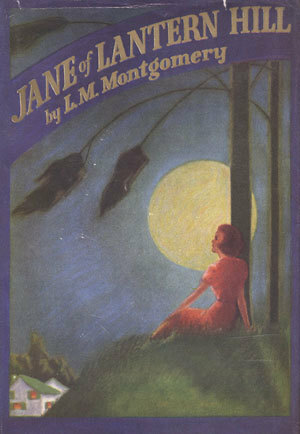 It's a shame Montgomery never finished the sequel, because I would have liked to have spent more time with Jane and her friends. Since family plays a big role in this story (and since, although it's now August, I finished it in July), I'm counting it for the July category of the Old School Kidlit reading challenge, which is "a family story". I'm also counting it for the Back to the Classics challenge, for "a classic set in a place you'd like to visit", because Prince Edward Island is definitely somewhere I'd love to go. Great review. I love Jane of Lantern Hill. I never knew LMM was planning a sequel. What a shame it wasn't finished. It would have been great to see how Jane grew up. I don't know how far she got with it. I would have liked to read about Jane growing up too! I just read Anne of Green Gables for the first time a couple of months ago, and I am excited to have so many LMM books ahead of me. Jane sounds like a character I will like when I eventually read this book. Thanks for linking up with Old School Kidlit this month! Anne of Green Gables is possibly my all-time favourite book :) I've enjoyed pretty much all the other LMM books I've read too, but I think this was one of the better ones.